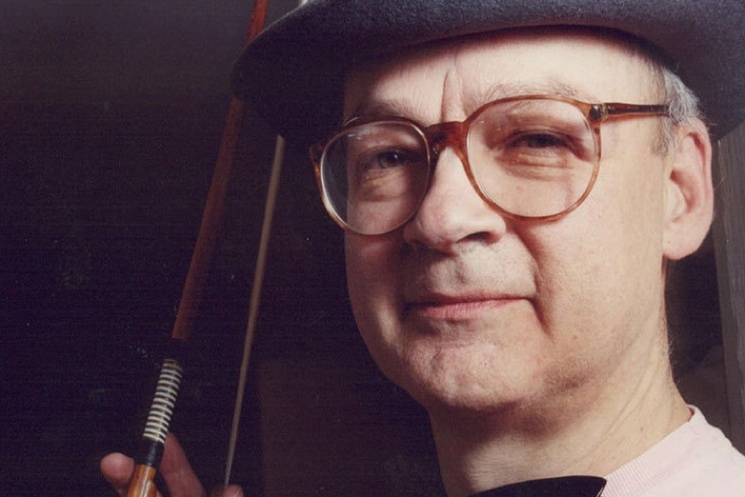 Avant-garde filmmaker and experimental music pioneer Tony Conrad has passed away. He was 76. Conrard had been battling prostate cancer for the last few years, and the Buffalo News reports that he died of pneumonia. He recently went into hospital and had to cancel a live appearance at Knoxville, TN's Big Ears Festival last weekend. The artist was regarded as a pioneer in the world of drone music and minimalism, having been a violinist in the New York noise ensemble Theatre of Eternal Music (a.k.a. the Dream Syndicate) in the '60s alongside John Cale. He was an early associate of the Velvet Underground, and legend has it that Conrad owned the copy of the book The Velvet Underground that inspired the band's name. He played with Cale and Lou Reed in their pre-Velvets project the Primitives. Throughout his lengthy career, Conrad worked with Genesis Breyer P-Orridge, Jim O'Rourke, Faust and many others. In addition to music, Conrad was a well-regarded experimental filmmaker, and he was known for his seminal 1966 film The Flicker. He was also a painter, writer and performance artist. He had taught in the media study department at the University at Buffalo since 1976. Below, listen to the Primitives' single "The Ostrich."